Lawrence J. Waldman joined First Long Island Investors in 2016 as a Senior Adviser. Larry is part of the team which advises high net worth individuals, families, and select institutions on the benefits and value of FLI’s investment and wealth management services. He also plays a key role in creating as well as furthering strategic relationships with professional services firms on Long Island. 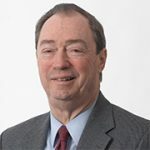 Until 2006, Larry was the Managing Partner of the Long Island office of KPMG, the international accounting firm, where he began his career in 1972 and was responsible for the direction and operation of its Long Island practice. Most recently, Larry served as an advisor to the accounting firm EisnerAmper LLP, and as a board member and audit committee chairman for several public and private companies. Larry is an active leader in the Long Island business community, currently serving as Chairman of the Board of the Long Island Association, which is the region’s leading business organization. Additionally, Governor Andrew Cuomo appointed Larry to serve as Chairman of the Long Island Power Authority in the wake of Hurricane Sandy, a position he held for more than a year following the devastating storm where he oversaw what was at the time the second largest public power utility in the nation. He currently serves on the Board of Trustees for the State University of New York and serves as Treasurer and Board Member of the Long Island Angel Network. He also serves on the Board of Directors and as the Treasurer of the Advanced Energy Research and Technology Center at Stony Brook University. Larry also serves on the Dean’s Advisory Council of the Zarb School of Business at Hofstra University, where he is an adjunct professor in the graduate program. Larry feels passionately about giving back to the Long Island community and continually dedicates his time and effort to support a range of charities. He is an avid supporter of education and served for many years as president of his school board. To contact Lawrence, please email him at Larry.waldman@fliinvestors.com.